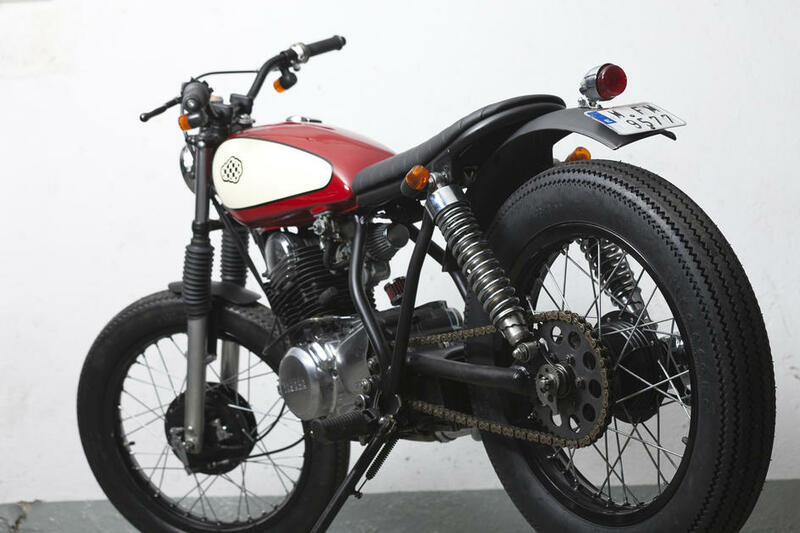 CRD4 Cafe Racer is one of our most special bikes and the funny thing is that it emerged from a contest / bet with the members of the Club Cafe Racer 09: we dared each other to build a cool Yamaha 250SR. This was quite a challenge because no one had done anything on this base until now. This gave us an excuse to create such a motorcycle because we already had an owner, in this case it could not be another person than Juliana. 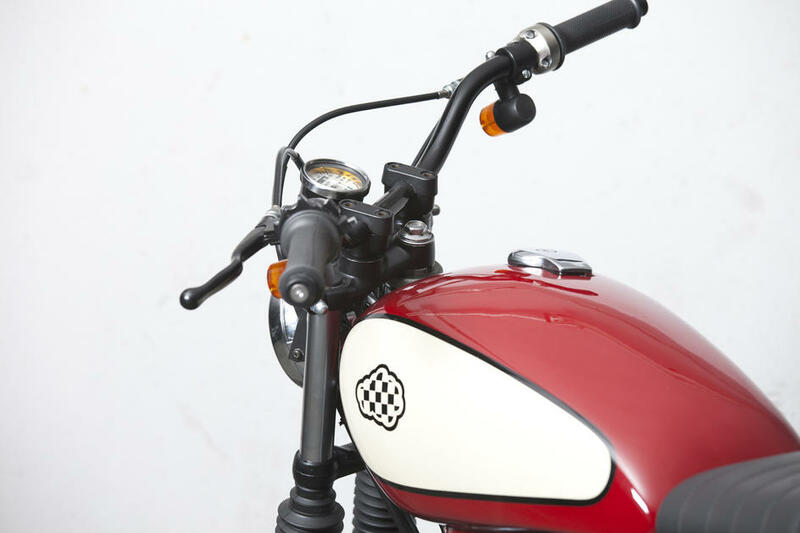 Without her figure, Cafe Racer Dreams could not have gone ahead or be what it is today and we thought the SR would be a perfect bike for girls in general and for her in particular. Hence its name. We started from a very low budget but since we had total freedom, we thought about doing something nice, delicate, feminine and very careful, like her. But above all, it was very safe, reliable and easy to use on a day to day basis. The colors went perfectly with the motorcycle model and with its owner: red and cream with black outline. Feminine but with a fun style with a little pop art roll. In addition it carries the battery under the frame, contact key inserted in subchasis and a simplified electrical system. 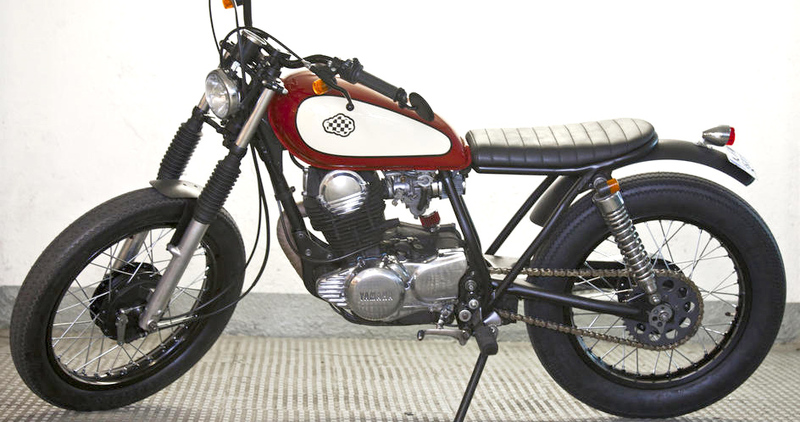 Bike Exif wrote this article about CRD4 Cafe Racer.